Jalen Coleman-Lands and Maverick Morgan scored 18 points apiece to lead six players in double figures and Illinois beat Division II McKendree 112-65 on Tuesday night. Michael Finke had 17 points, on 8-of-10 shooting, and eight rebounds and Tracy Abrams was 5-of-5 from the field with four 3-pointers and finished with 14 points and six assists. Aaron Jordan scored 11, including three 3s, and Mike Thorne Jr. had 10 points and 10 rebounds. Illinois (3-0) opened the game with a 7-0 run, including five points by Finke, and never trailed. Coleman-Lands hit 3-pointers on three-consecutive possessions to make it 21-10 with 12:28 left in the first half and the Illini led by double figures the rest of the way. The Illinois bench outscored McKendree's reserves 59-23 and shot 56 percent from the field, including 16 of 28 (57 percent) from 3-point range. Nate Michael, son of former Illinois basketball player Tom Michael, led the McKendree (1-0) with 25 points. The game served as an exhibition for Bearcats. 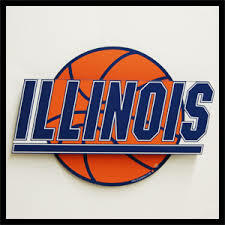 Illinois hosts Detroit on Friday night as part of the NIT Season Tip-Off tournament. Malik Monk's 23 points on 7-for-11 shooting from 3-point range and the second-ranked Wildcats' defense that held No. 13 Michigan State to 32.8 percent shooting combined for a 69-48 victory Tuesday night in the State Farm Champions Classic at Madison Square Garden. Relying on another talented freshman class, Kentucky was able to up the tempo enough and keep the tenacious defense going that the Spartans committed 20 turnovers which the Wildcats turned into 24 points. 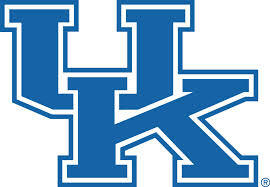 Freshman De'Aaron Fox added 12 points for Kentucky, which snapped Michigan State's two-game winning streak in the series that the Wildcats lead 13-11. Kenny Goins and Cassius Winston led the Spartans with nine points each. Freshman Miles Bridges was held to six points on 2-for-11 shooting but he grabbed 12 rebounds. The Spartans were coming off a 68-65 loss to No. 10 Arizona in Honolulu. Kentucky led 34-26 at halftime and the Wildcats opened the big lead with a 16-7 run that made it 51-37 with 12:04 to play. Michigan State continued to struggle from the outside and the Wildcats led by as many as 23 points. On Tuesday night the Jayhawks went from looking like easy winners to facing another excruciating loss. But a short jumper by Frank Mason III with 1.8 seconds to go gave the Jayhawks a 77-75 victory over top-ranked Duke in the State Farm Champions Classic at Madison Square Garden. 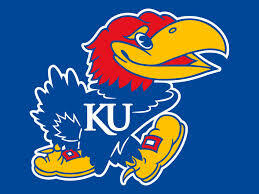 The Jayhawks (1-1) beat a top-ranked team for the eighth time. Kansas was ahead 62-50 with 8 minutes to play but the Blue Devils (2-1), despite a terrible shooting game by Grayson Allen, the leading vote-getter on The Associated Press' preseason All-America team, managed to suddenly start hitting shots and they tied the game at 75 with 15 seconds left on a 3-pointer by Jackson..
Kansas called a timeout with 8.2 seconds left and set up the game-winner. Mason, who had a career-high 30 in the loss to Indiana, led Kansas with 21 points, freshman Josh Jackson added 15 and Devonte' Graham had 13. Luke Kennard led five Duke players in double figures with 22 points. Allen finished with 12 points on 4-for-15 shooting. Kansas finished 2 for 17 from 3-point range but the Jayhawks shot 50.8 percent overall (33 for 65) including making 60.6 percent of their shots in the second half (20 of 33). Duke shot 48.9 percent for the game (23 of 47) including 8 of 19 on 3s.